It’s time to switch over to the dark side—at least in your home decor. Yep, that’s right. 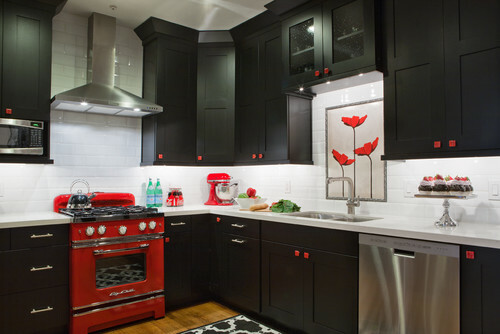 When it comes to today’s hot trends in interior design, black is the new black. From bold accent walls to chic black-and-white living spaces to onyx kitchen cabinets, designers are increasingly turning to the darkest shade on the spectrum to create a dramatic statement. Sure, using black can be a little intimidating. But just like a little black dress, it goes with everything. “Black is a great choice for interiors because it never goes out of style, it goes with every other color, and it conveys a feeling of luxury,” says Val Malnar, principal designer at Orangetree Interiors. Plus, black works seamlessly with most styles, no matter if your home is Hollywood glamour, Mid-Century Modern, or even industrial (farmhouse chic, anyone?). Ready to go dark? We asked some top designers to show us the way. 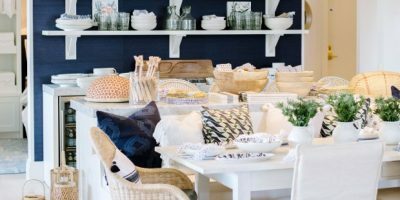 So your kitchen or bathroom needs a style upgrade, but you don’t want to spend a boatload of cash on a major renovation. What’s a homeowner to do? 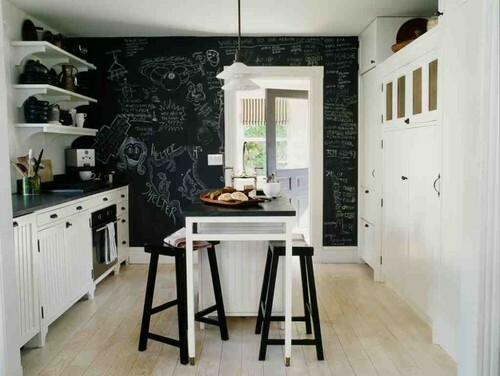 Paint the cabinets black, says Cynthia Spence, an interior designer in San Francisco. If you’re feeling brave, a black accent wall can hit all the right notes, says TC Chou, founding partner at Design Determination in New York City. 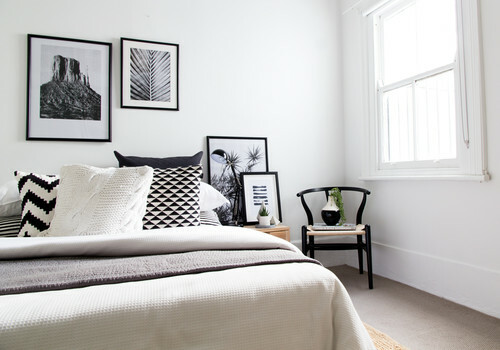 In your bedroom, living room, or dining space, a brush of black can offer a classic look without feeling overwhelming. If using black in a high-traffic area such as the living room or kitchen is a little too bold for your tastes, consider it in a hallway instead. You can go all-in and slather everything in black or pair it with other dark tones. In a recent home project with a long vestibule, Spence painted all the doors a semigloss black (with brushed-nickel knobs), and kept the walls and trims a platinum gray. “The result was quietly impactful and made space more of a destination rather than an eyesore,” Spence says. In the past, Spence also painted a hallway ceiling black for extra flair. 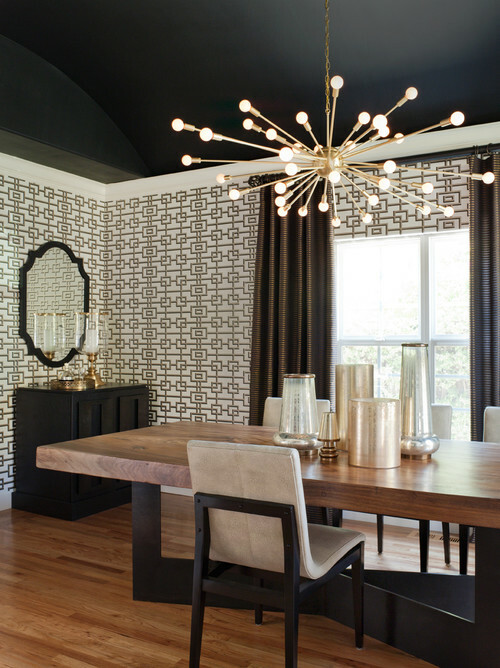 “It literally made the ceiling disappear, and the light fixture and wall covering became the focal points,” she says. Speaking of a dramatic ceiling, don’t limit it to the hallway. “A black ceiling can help emphasize architectural features in the room such as moldings,” Chou says. It can also make kitchen fixtures pop and help define an area in an open floor plan, he notes. Plus, if you think about it, black is known in fashion for its ability to cover up any flaws—and the same goes for the home. “For rooms like basements, it’s a great way to hide exposed ductwork or ceiling tile,” Chou says. Always need to remind yourself to buy more sugar or milk? 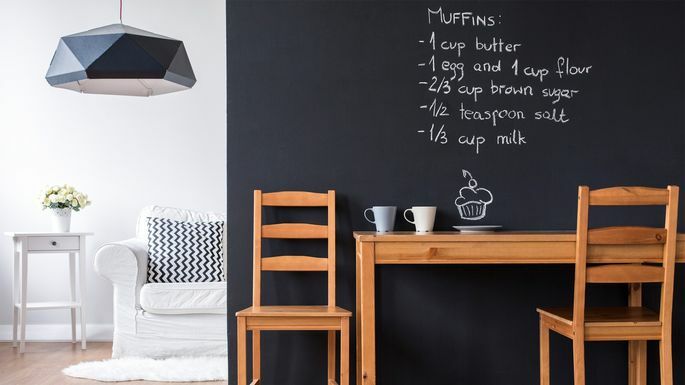 A space in your kitchen covered with black chalkboard paint that you can write on is just what you need, says Kelley Lauginiger, a lifestyle blogger and home décor expert in Ohio. “This is also a great option for kids’ rooms or a den/office where you keep lists or notes,” she says. Not ready to devote an entire wall (or ceiling) to the color? You can still make a statement with select black pieces throughout your home. “Black plates and cutlery add chicness to a dinner party, black-framed mirrors bring elegant drama into a room, and even something as simple as black candleholders can be an eye-catching item on a table,” says New Jersey–based interior and furniture designer Neffi Walker. And remember: You can’t go wrong when you pair black with it’s BFF, white.